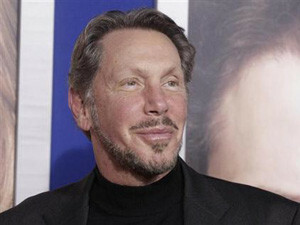 Larry Ellison, Oracle chairman and CTO, announced a series of innovations across the Oracle Cloud platform. Oracle is intensifying its cloud computing game as it tries to outdo rivals in the tightly contested market. During Oracle Open World 2016 in San Francisco, the world's second biggest software company announced a host of new cloud offerings. Larry Ellison, Oracle chairman and CTO, announced a series of innovations across the Oracle Cloud platform that he said are designed to give organisations the ability to run their most critical applications in the cloud. At the heart of Oracle's platform-as-a-service (PaaS) is Oracle's new database-as-a-service based on Oracle Database 12c Release 2. Oracle's new database is being made available in the cloud, providing businesses with access to database technology in a cloud environment, said Ellison. The company also unveiled new enhancements and Oracle Cloud Platform offerings including tools for all application development models. This includes simplified migration and extension of enterprise workloads in the cloud, tools for Cloud native, and low-code development. PaaS enhancements unveiled also include 19 new cloud services including Container Cloud Service, Oracle Identity Cloud Service, Oracle Internet of Things Cloud Service, Big Data Cloud Services and Oracle Analytics Cloud Services. It also released its strategy for next-generation software-as-a-service (SaaS) cloud offerings that blend third-party data with real-time analytics and behavioural inputs. Called adaptive intelligent applications, Ellison said these next-generation cloud offerings are based on the insights contained within Oracle's data cloud, which is a collection of more than five billion consumer and business profiles, with over 45 000 attributes. "When activated, these new adaptive intelligent applications use Oracle's Web-scale data and apply advanced data science to learn and ingest data about an organisation's users and their behaviours to deliver targeted information to customers and employees. The insights from these deep analytics build a knowledge base that helps improve business results across organisations," he pointed out. "A company's data is its most valuable weapon. To remain competitive today, companies must access their information in real-time to intelligently forecast and grow," says Steve Miranda, Oracle's executive vice president of applications development. "Oracle adaptive intelligent applications leverage anonymised information from our extensive data cloud to optimise existing cloud application functionality. When this is combined with a company's own data, we are able to provide customised insights to help enhance business performance."